Your vehicle’s tires support 95% of its weight at all times and impacts almost every aspect of handling and performance. That’s why maintaining and monitoring your tires’ inflation is so critical to getting the most out of your vehicle and keeping you safe. Safety First – Under or over-inflated tires increase the risk of sudden tire failure. Your vehicle’s safety devices such as the Antilock Braking System (ABS), Traction Control System (TCS) and stability control systems may not function correctly with tires that are not properly inflated. Saving Fuel – Properly inflated tires distribute your vehicle’s weight evenly and make the correct amount of contact with the road surface. Regular tire maintenance and inflation could save the average Canadian driver the equivalent of two weeks worth of gas every year. Uneven Tread Wear – Under or over-inflated tires can lead to premature tread wear as well as uneven tread wear, which can shorten the life of your tires drastically. Over-inflated tires will cause the side edges of your tires to “lift”, causing the tread in the centre of the tires to wear away faster, while under-inflated tires will cause the side edges of your tires to “sag”, which will wear away the tread on the outside edges of the tires. Again, properly inflated tires distribute your vehicle’s weight evenly, ensuring that the tread on your tires wears away evenly. Helping the Environment – Proper tire inflation can help to reduce greenhouse gas emissions. Every litre of fuel consumed by a vehicle results in 2.4 kg of carbon dioxide being released into the environment, further contributing to global warming. Properly inflated tires increase your vehicle’s fuel efficiency, helping to save you money and lower your carbon footprint. 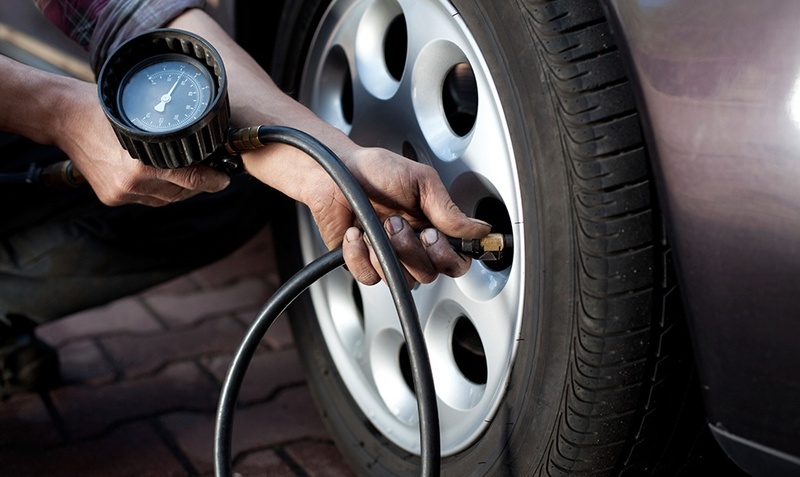 The best way to get the most out of your tires and maintain correct inflation is to manually check your tire pressure with a hand-held tire pressure reader, and to always inflate your tires according to the vehicle manufacturer’s recommendations. In recent years, manufacturers have incorporated new sensory systems and technologies as standard to many models. A Tire Pressure Monitoring System (TPMS) is one example of tire tech that can be found standard in some vehicles and in aftermarket products. Learn more about TPMS here. In addition, some retailers are also promoting the benefits of inflating tires with nitrogen, which you can read about here. For more information on correct tire inflation and tire maintenance, speak to your local certified technician or tire specialist.